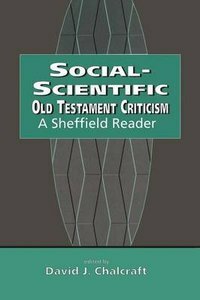 Collected here in one volume are the best examples of social-scientific Old Testament criticism from the last 20 years of the Journal for the Study of the Old Testament, an essential introduction to the field. Divided into six sections, this volume presents essays on the central methodological and theoretical issues as well as a series of applications to the study of early Israelite social forms, the formal and informal regulation of life, the distribution of power and justice, and the performance of social roles and the process of group formation. The volume brings home how indispensable a social-science approach is for the reconstruction of the Israelite social world-not to say our own worlds and productions as well, enbodying the finest traditions of classical social theory and the interface with exciting new developments. About "Social-Scientific Old Testament Criticism"